National Visas is a world leader in online Australian visa and immigration services. National Visas understands the confusion, frustration and time associated with the visa application process and delivers fast, friendly, expert advice and assistance for people seeking a visa for Australia. Australian visas made easy! National Visas is a private company and is not part of the Australian Department of Home Affairs. We do not have the authority to grant you a visa of any kind. We can only assist and advise people who want to travel / migrate to Australia. Please note that the final decision on all visa applications rests with the Department of Home Affairs. National Visas Migration Agents are registered to provide Australian immigration advice, as required by Australian law. National Visas Registered Migration Agents adhere to the professional Code of Conduct (Administered by OMARA) along with undertaking continuous professional development (CPD) training on a yearly basis. 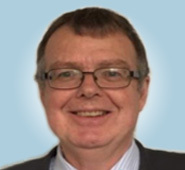 John Bell has been involved in the immigration industry since 2000 and before this has had extensive experience in the IT industry in Australia and the UK. He is tertiary qualified and has gained vast experience in international immigration law over the years working in the UK and Australia. John has practiced in Australia as an Australian Registered Migration Agent since 2003 and in the UK as a UK immigration adviser between 2000 and 2002. The combination of John's extensive international immigration law and IT experience is a perfect fit for the services provided by National Visas. John is also a member of the Migration Institute of Australia. Ivanna has many years of experience working with speakers of English as a second language in various fields of business, including wholesale trade, building development and hospitality. Ivanna was awarded the prestigious Sir John Monash Scholarship for Excellence for her double degree in the Bachelor of Commerce/Bachelor of Music at Monash University. She continued on to do Honours, and most recently received the Graduate Certificate in Australian Immigration Law and Practice at the ANU. 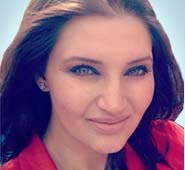 Ivanna has extensive experience across a broad range of areas including handling complex cases, Administrative Appeals Tribunal hearings, employer sponsored visas, business visas, skilled migration, visa refusals and cancelations, citizenship, resident return visas, family visas, visitor and student visas. 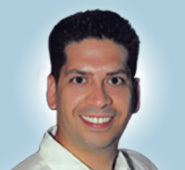 Alfonso has a Bachelor of Laws from Mexico (UNAM). He also has an Australian Professional and a Graduate Certificate both in Australian Immigration Law and Practice (Victoria University) as well as a Master of Migration Law and Practice (Griffith University). He speaks English and Spanish fluently. He also understands Italian and Portuguese. Alfonso has practiced law for numerous years and has extensive experience in the areas of property, corporate and immigration law. His areas of expertise include citizenship, general skilled migration, partner visas, parent visas, business visas, student visas, employer sponsored visas and visitor visas. He also has many years of experience dealing with multinational corporations and clients from a wide range of cultural backgrounds. Alfonso is an Australian Citizen, but he migrated to Australia in 2010, which gives him a great personal approach and understanding of his clients' needs and circumstances. Alfonso has worked for National Visas as a Registered Migration Agent, since 2012 and he has always demonstrated a great passion in his job and a total commitment to his clients. 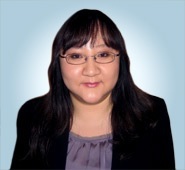 Olivia has extensive past experience in the area of Human Resources. She then moved on to the international student recruitment field assisting international students with admission to courses offered in Australian educational institutions. Olivia holds a Bachelor in Business and a Graduate Certificate in Australian Migration Law and Practice. She is currently studying a Bachelor of Laws at Deakin University. 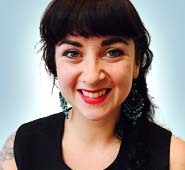 Olivia is also a member of the Migration Institute of Australia. Olivia has experience handling partner, resident return, business short stays, visitor and working holiday visas and provides honest and professional advice to her clients. Olivia is passionate in getting the best outcome for her clients and is very patient and informative when communicating information on migration matters. Jemma was first introduced to migration law in 2009 when she volunteered with the Asylum Seeker Resource Centre (ASRC) at their legal intake clinic. Since completing her Graduate Certificate in Australian Immigration Law and Practice, she gained full registration as a Migration Agent in 2010. Jemma holds a Bachelor degree in Legal Studies and has worked in a variety of industries, providing her with effective communication skills when dealing with government departments, corporate organisations and small businesses. Over the past 7 years Jemma has successfully lodged temporary and permanent Employer Sponsored, Family, Visitor, Resident Return, Citizenship and appeal applications. Jemma enjoys the meaningful yet challenging nature of her work. 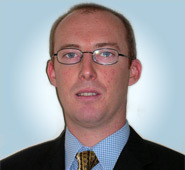 Ian Walker has been registered as a Migration Agent in Australia with OMARA since 2013 and specialises in the areas of Business Migration, Australian Citizenship, Skilled Migration, Spouse/Partner, Prospective Marriage, Resident Return Visas, Student/Student Guardian and Administrative Appeals Tribunal hearings. Ian is also a Qualified Education Agent Counsellor with Professional International Education Resources (PIER) since 2009 and has successfully enrolled and obtained visas for many students over the past 10 years. Ian has over 11 years' experience in Australian Immigration Law and Practice working in the capacity as Senior Consultant/Case Officer for the Australian Government Department of Home Affairs. He is also a member of the Migration Alliance, Migration and Education Alliance of Australia. Shasheema holds a Bachelor of Laws from Sri Lanka (University of Colombo). She also has a Graduate Certificate in Australian Immigration Law and Practice (ANU) as well as a Master of Laws (University of Adelaide). 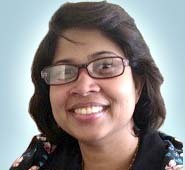 Shasheema is a member of the Migration Institute of Australia and speaks English and Sinhalese fluently. Shasheema first started as a volunteer Registered Migration Agent with the Refugee and Immigration Legal Centre (RILC) at their fast-tack assessment program. Shasheema is an Australian Citizen and migrated to Australia in 2007 with her family. Shasheema has extensive experience with student visas, partner visas, temporary graduate visas, resident return visas, short stay business visas, visitor visas and working holiday visas. Katherine is a qualified accountant and has over 20 years accounting experience. Katherine is National Visas' Electronic Travel Authority (ETA) Advisor, she manages our ETA visas and also provides accounting and administrative support. Prior to joining National Visas in 2008 Katherine worked for a number of large international companies in Korea, in both accounting and account managerial positions. Katherine has completed an undergraduate degree in Accounting at Shingu University in Korea and also a Diploma in Accounting from Holmesglen in Australia. 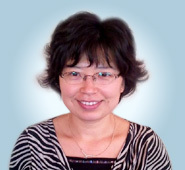 Katherine migrated to Australia in 2006 with her family and speaks fluent Korean. Sally has been with National Visas since 2011, working in Administration and Agent Support. Sally brings with her extensive experience working for both government departments and multi-national companies in various management positions. Sally has studied a Business Degree and Certificate IV in Bookkeeping. Sally lives in Melbourne with her husband, children and dogs. There are a number of reasons why people choose to use the services of a Registered Migration Agent when lodging a visa application. Applicants can be requested to provide more information or attend interviews – a migration agent is in the best position to guide applicants through these situations. Applying for a visa is not a formality. It is a costly, time consuming and precise process. In many cases it is the first step in one of the most important decisions you will ever make – deciding to start a new life in another country. Registered Migration Agents give visa applicants the best chance to fulfil such life plans successfully, with the least stress or hindrance from Government authorities.